Of course, no beauty look can be completed without an exceptional skincare base. 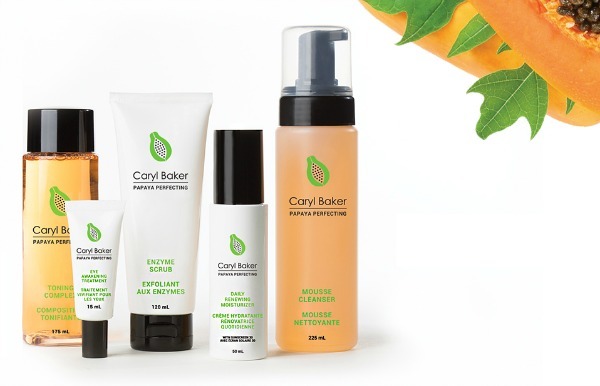 I've been a fan of Caryl Baker Visage's papaya-powered skin care line for some time - it's the perfect mix of exfoliating (papaya contains enzymes that help remove dead skin cells) and hydrating. 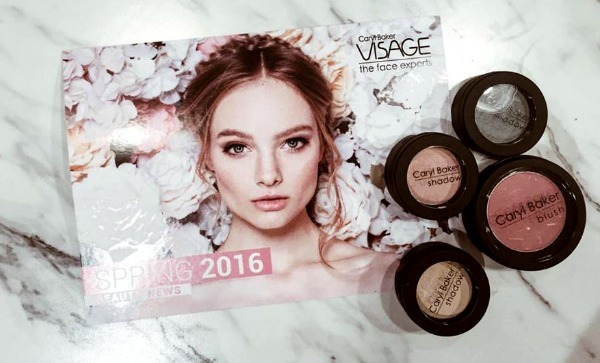 Visage has given the line a face lift, which launched this month, as the Caryl Baker Papaya Perfecting Collection. The Papaya Perfecting Daily Renewing Moisturizer ($39.20 on sale) contains SPF 30 and is gentle enough to be used daily, while still exfoliating the skin's surface to remove dead skin cells. 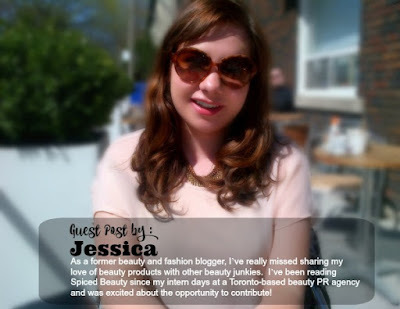 This helps promote radiance and an even skin tone. The Papaya Perfecting Eye Awakening Treatment ($30.40 on sale) is a must for getting a perfect under-eye concealer application. The eye treatment is moisturizing and conditions the delicate under-eye area. It also helps smooth puffy, tired eyes and reduces the appearance of dark circles. Basically - I'm sold! If you're feeling the Papaya and want to include it more in your routine, the line also includes more skincare products, including a cleanser and exfoliator, and a Papaya Leaf Herbal Tea that I am obsessed with! Now that you've established your skincare routine, it's time to put away the neutrals you used all winter and experiment with some fun colours for spring! Confession time: I pretty much never wear coloured makeup. I keep everything very, very neutral and beige. 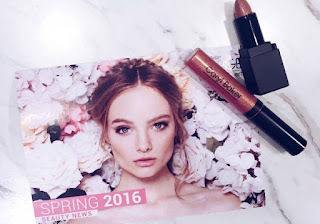 However, once I played around with the Caryl Baker Spring 2016 Bloom Collection, I've actually found that some of these floral-inspired shades really perk up my face and flatter me. Caryl Baker Blush in "Rose Garden" ($22.50): A true rose blush that would flatter a multitude of complexions. It's got a slight hint of sparkle, so it perks up the face, but doesn't apply any glitter. Caryl Baker Eyeshadows in "Sweet Pea" (slightly frosty peach-pink), "Buttercup" (matte pale yellow), "Hydrangea" (slightly sparkly blue-green) ($18): These colours go so well together! I use Buttercup all over my lid and then Sweet Pea applied on the crease, with Hydrangea blended along the outer corners and as a liner. It really brightens up my whole face! Caryl Baker Lipstick in "Morning Dew" ($18): Again, a perfect rose shade. There is also a little mirror that pops out when you remove the lid - perfect from streamlining your makeup bag! Caryl Baker Lipgloss in "Romance" ($18): This shade is so perfect for day and light, and layers expertly with the Morning Dew Lipstick. Visit a Caryl Baker store quickly, because this collection is limited edition!